The future of Veritas, the storage business plit out of Symantec, has been settled after it was sold onto private venture firm Caryle Group. 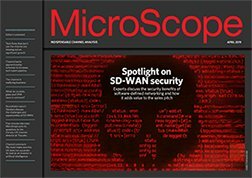 Since 1 April Symantec and Veritas had been running as two seperate companies having also split its channel and sales teams. But there had continued to be question marks raised over the future of the Veritas data storage business and as Symantec made key appointments and talked up its channel ambitions the situation at its former stable mate was slightly less clear. Over the past few months Symantec had looked into the options around Veritas and concluded that a sale offered the best value for shareholders. Things should change at Veritas following not only the $8bn cash sale to Carlyle but the announcement that Bill Coleman, founder of BEA Systems, is taking up the CEO role and former president and CEO of 3Com and Carlyle operating executive Bill Krause is joining as chairman. John Gannon, Symantec executive vice president and Veritas general manager, said that the deal would put in under the ownership of a business that "had a strong track record of successfully growing businesses". "Veritas will continue to provide next-generation information management solutions to serve the world’s largest and most complex environments, including multiple cloud deployments, managed services and on-premise infrastructure," he said. One of the benefits that Symantec highlighted as resulting from the decision to sell including providing the channel with even greater clarity around the separation process. It will also give the independent Symantec a $8bn boost and its president and CEO Michael Brown said that the funds would strengthen the security business. 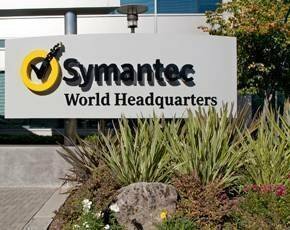 “This transaction strengthens our financial foundation, paving the way for Symantec to grow its security business and increase its lead as the world’s largest cybersecurity company," he said. The deal is expected to close by the year end.